News, information and updates for Mark Eccles. 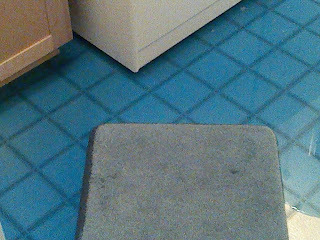 Awakened just after 4am to the news that the jug of laundry detergent had fallen (knocked off by the cat?) off the counter. Cleaning up soap is by no means the worst mess I've ever faced but it was quite the dickens. An hour later I had bagged twenty pounds of liquid detergent. Living the dream. Copyright © Mark Eccles. Simple theme. Powered by Blogger.